As I have shared in my About Me section of my blog, I used to make and sell bath salts and body oils and other herbal products. One of my goals was to sell great smelling, “clean” products that were as good for your skin as they were nice to use. One of my motivations for making my products was the realization that so many skin care products contain ingredients that are harmful to our health (especially contributing to cancer) and that our skin is our body’s largest organ. Everything that you put on your skin is absorbed into your body. When I had my first child, this beautiful, fragile, tiny creature that I suddenly was charged with keeping healthy, I knew there was no way I could put chemical-laden baby care products on her skin. I thought about the idea of a lifetime of using these things, her body having to detox from them and the resulting chemical overload and potential for cancer later. 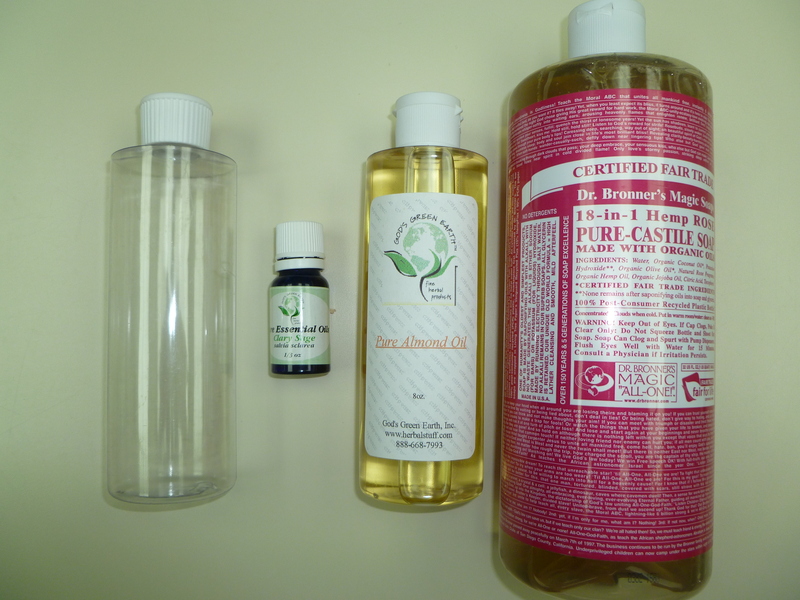 After taking one look at the safe or “clean” products on the market and the prices they are, I was very quickly prompted to make my own baby body wash/shampoo, and I liked it so much that I started using it as a body wash too. 1 part Bronner’s Castile Soap. I like Dr. Bronner’s because it is very concentrated and you can buy lots of different kinds. 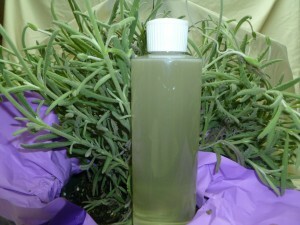 Some castile soaps are not as concentrated and they get too watered down. 20-30 drops of your favorite essential oil. I combine these in an 8 oz bottle (available at any health food store and probably other places as well, or recycle an old shampoo bottle). Step 1: Add the almond oil. Step 2: Add the essential oils and gently swirl to mix. Step 3: Add the water – this is as simple as filling the bottle half full of water. Note: when I make this for myself, I like to use a bit less water and more castile soap. Also, I leave out the almond oil because I like more suds. Step 4: Add the castile soap until the bottle is almost full. Once you have combined all of the ingredients, gently shake the bottle to mix. That’s it! I told you it was very easy! I like to experiment with different kinds of essential oils. For my kids I really like the gentle, soothing aroma of lavender oil. For myself, I most often use clary sage because I really love how it smells. You could try eucalyptus, sandalwood, mandarin, or any other of your favorite oils; you could even get creative and try a blend! There you have it… a very cheap, very quick way to clean your skin with a product that is “clean” (or not loaded with harmful chemicals). Hello all the way from Greece! Just made some and I’m going to use it right away! (By the way, castile soap is super expensive here!6 tiny bottles of Dr Bronner’s castile soap with various scents, 59ml each, 15 euros! And they were on sale! Hi, What is the approximate shelf life of the body wash? Thanks! Hi Alicia, that is a good question; I always use mine up pretty quickly. 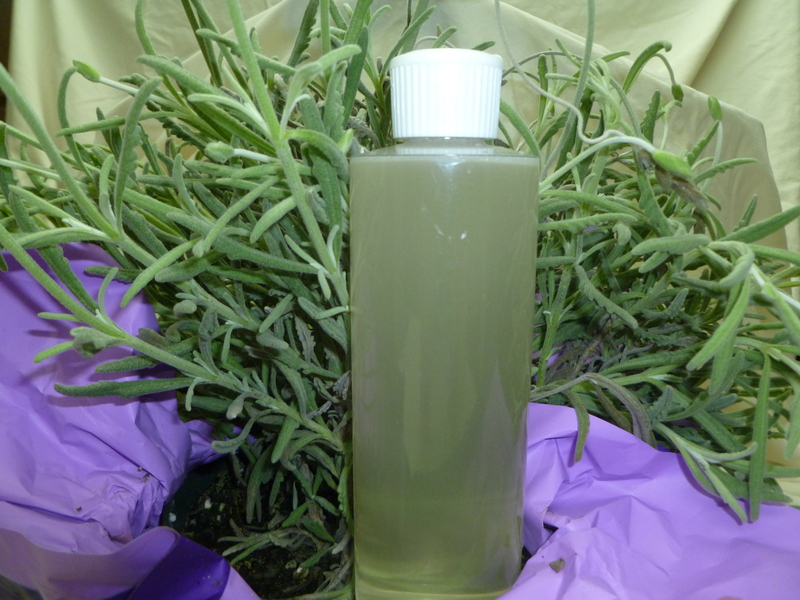 Given the ingredients, castile soap, essential oils and water, it should be good for a couple of years. If you use distilled water, I think it would last even longer. Hope that answer helps! Bonnie, thanks for re-posting these things on Facebook every once in a while; I forgot about this one! I’m curious, I don’t like to use many scents (my mom is allergic to most fragrance), so could I just omit the essential oil? Can you recommend a good substitute for almond oil? I am allergic to tree nuts, as well as coconut 🙁 Thanks! Hello! Please forgive me if my measurements are confusing by saying “part”. I usually use an 8oz. bottle to make my body wash in and when I say 1 part castile soap and 1 part water, I do about 4 oz. of each (slightly less if I am adding almond oil). I worded it that way so you could do any measurement with a 1:1 ratio (for example 1/2 cup of each), but if you are using a bigger bottle, you may want to play around with adding more almond oil and essential oils. Hope that helps! Great, Teresa, let me know how it works! can u please send me dove body wash receipe …. Hi There, I am not sure what you are referring to. Would you mind being more specific? If you mean Dove brand, I don’t have that information. Please let me know and I will try to help. Thanks! I was hoping you wouldn’t mind if I base my romantic body wash recipe on your simple body wash recipe. This is for an ebook on romantic scents. We can keep in touch and swap links once I am published. Attributed to your site of course. Please let me know via email. Thanks so much for the compliment of wanting to use my recipe. If you don’t mind, I’d love to look at your sight and how you will credit mommahealth for the recipe first. This could be fun! Just realized I never approved your comment, so you didn’t get my 1st response. Forgive me for it seeming to take so long, Celeste! Love this! It’s so simple! Thanks, Rachael! Hope you get a chance to try it soon. If so, let me know what you think.